All of us with Artists for World Peace (AFWP) were delighted that Associate Editor Cynthia Rockwell had the opportunity to write about her trip with us to Tanzania last summer. 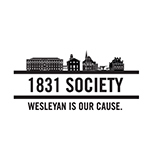 I’d also like to send a shout-out to other members of the Wesleyan community who continue to partner with us and inspire our work. My husband, Dr. Robert Nasta MA ’98 P’07 (we are the parents of Jesse Nasta ’07) is co-creator of AFWP. By title, he is our music director, organizing our monthly “One Concert, One Child,” each in support of one of our Children of Peace around the world. Our organization is guided by a Council of Elders, in the Native American tradition, and we are proud to include CFA’s Barbara Ally in this gathering of wise ones who help support our mission of peace through the arts. Two Wesleyan students serve as office interns: Alida Blundon ’16, who worked with a women’s cooperative in Tanzania, is using her knowledge of Swahili to help archive our photos from the past 12 years. Susan Liu ’18 is developing a database for the free eye clinic we opened last summer in Tanzania. We are so grateful for these bright, creative, and energetic students who have quickly become members of our AFWP family. Additionally in years past, Associate Professor of Economics Wendy Rayack has recommended students who have helped design our micro-loan project in Tanzania. 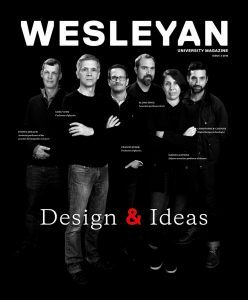 Many others at Wesleyan, including Makaela Kingsley ’98, director of the Patricelli Center for Social Entrepreneurship, and John Wareham, video production coordinator in Wesleyan’s New Media Laboratory, have offered advice, assistance, friendship, and expertise. In 2010, John E. Andrus Professor of Sociology Rob Rosenthal’s students researched and designed our scholarship endowment, which awards scholarships to students majoring in the arts here in the U.S. and around the world. In short, Bobby and I are so grateful to be part of this fabulous community. The entrepreneurial spirit, crackling intellect, and creative energy—coupled with a belief that we can, truly, work toward world peace—continues to enrich our lives and work. We look forward to seeing you at our events, and we invite you to check out artistsforworldpeace.org, to see what we are doing to foster peace through the arts. Artists for World Peace, Middletown, Conn.